I love the idea of 'doing it yourself' I think that it makes your home so much more unique if you have individual pieces made by hand that no one else will have. 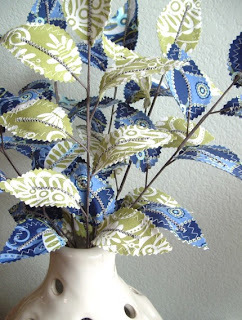 So I love this idea by craft artist Jane Joss. 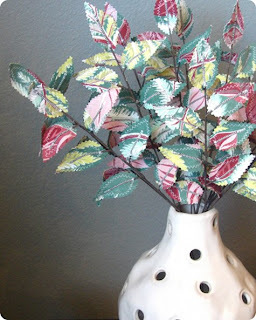 You can find a step by step guide on how to made these material flowers at - http://www.designspongeonline.com/2009/07/diy-project-jane-joss-recycled-quilt-flowers.htmlor check out their Etsy site!